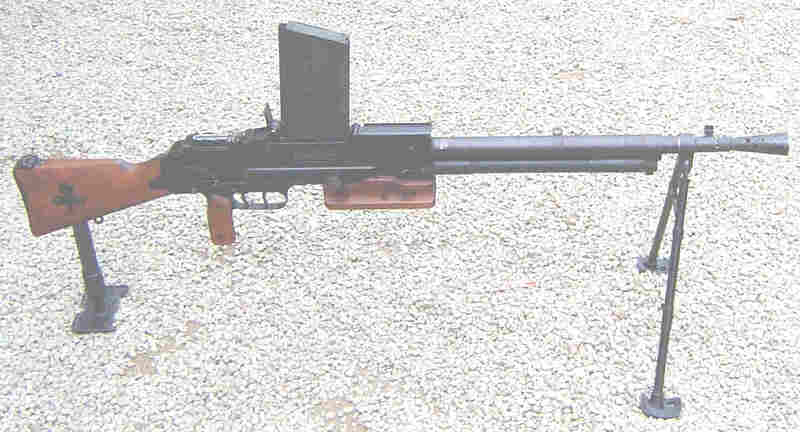 After the end of World War I, the French army sought to replace the problematic Fusil-mitrailleur mle 1915 machine gun (better known as the Chauchat). 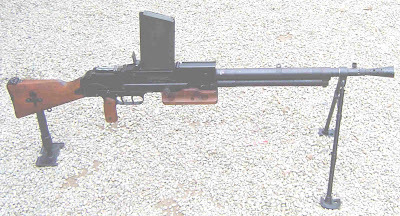 French commanders considered standardizing on the American M1918 Browning Automatic Rifle (BAR), but eventually required the development of a locally built weapon. 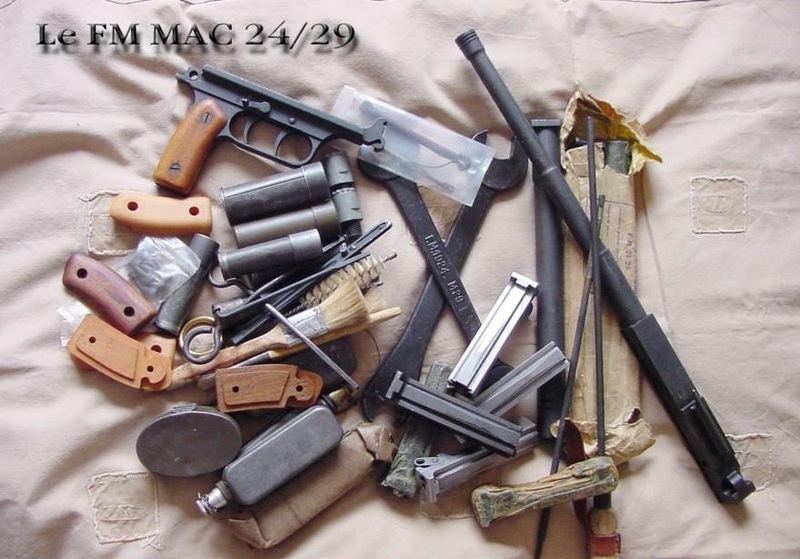 MAS (an abbreviation of Manufacture d'Armes de St. Etienne - one of several government-owned arms factories in France) proposed a direct derivative of the BAR, but the Manufacture d'Armes de Châtellerault (MAC) won the bid with its weapon, which was partly based on the BAR action. 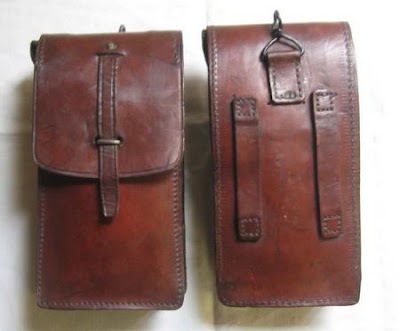 It had been formulated and designed by a Lt Col Reibel. 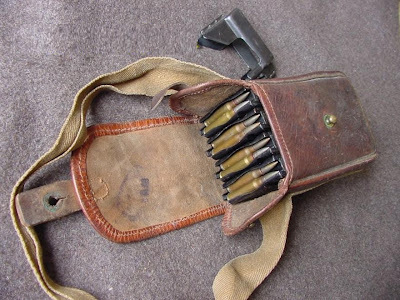 The FM mle 24 entered limited production and operational use, but numerous problems with the new 7.5mm ammunition type appeared. 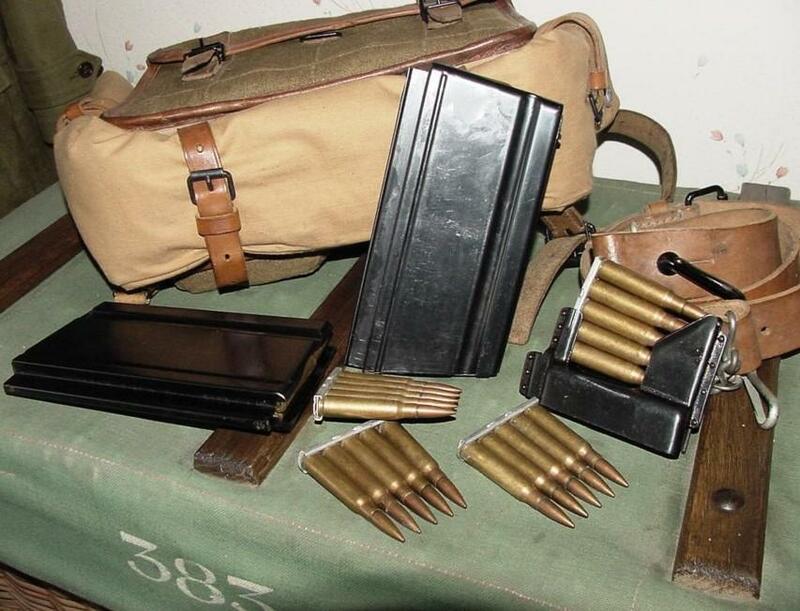 In particular, 8mm Mauser ammunition which was in use with captured rifles used by auxiliaries in Morocco during the Rif War, could be chambered and fired with disastrous results. This situation led to the development of a slightly shorter 7.5x54mm type, which was retained in 1929 as the standard calibre for all future rifles and light machine guns in French service. The accordingly modified fusil-mitrailleur modèle 1924 modifié 1929 (FM 24/29) was eventually mass-manufactured (187,000), beginning in 1930, until the older FM Mle 1916 (Chauchat) could be entirely phased out of service. The new fusil-mitrailleur modèle 1924 (automatic rifle, model of 1924) featured a bipod, an in-line stock, a pistol grip, a top-mounted 25-round magazine and a bolt hold-open after the magazine's last round had been fired. Protection of all the openings against mud and dust was excellent. 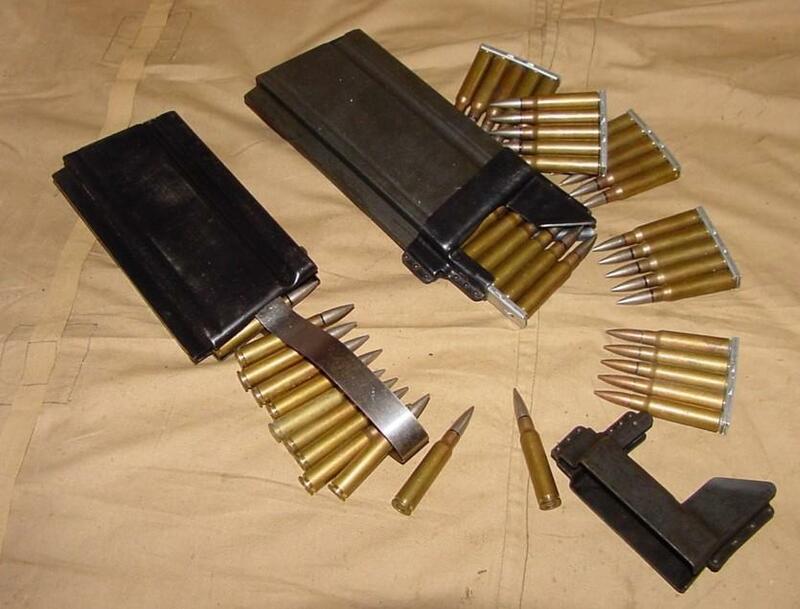 The cyclic rate was 450 rounds per minute. 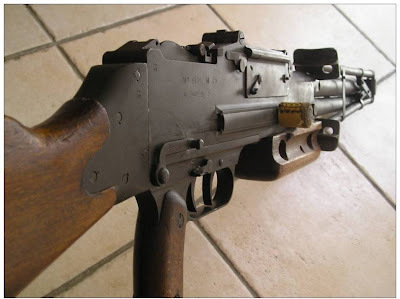 In general,this new weapon was accurate and highly reliable but the barrel was fixed , as in the Browning Automatic Rifle (BAR), and could not be quickly changed as in the British Bren gun. 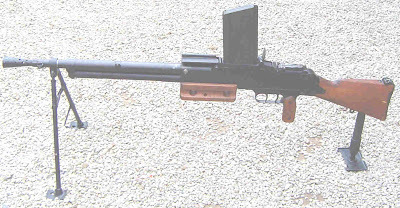 The FM 24/29 was the standard squad-level automatic weapon of the French infantry and cavalry at the start of World War II. 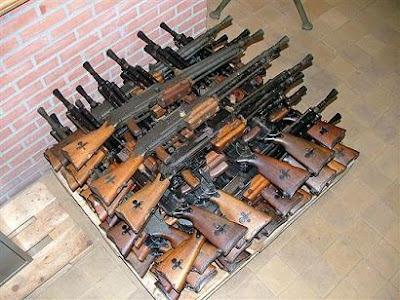 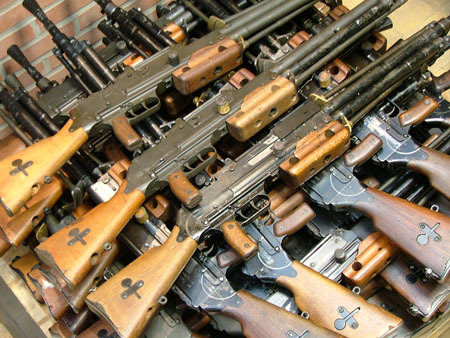 After the French surrender in World War II, the Germans captured large quantities of this weapon, which they used operationally until the end of the war. From 1943 on, as the French army was re-equipped and re-organized in North Africa with Allied support, the FM 24/29 was kept in service, as French troops considered it superior to the Browning Automatic Rifle. 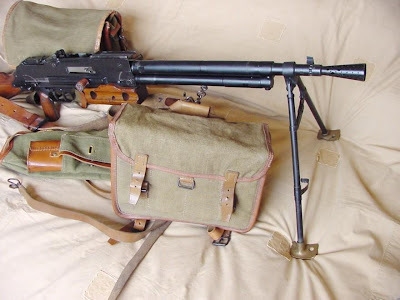 The FM 24/29 was the workhorse in the First Indochina War and served in the armed forces until after the end of the war in Algeria. It was replaced by the AA-52 general-purpose machine gun in the 1960s, but it was still in use with National Gendarmerie regional brigades until 2000-2006.